Jollibee, a 100% Filipino-owned company, is a well- known fast food chain in the Philippines. Through the years, Jollibee have developed into a company with the image that prizes customers above anything else. This is due to the fact that they are always up to date with current consumer trends, keeping a keen eye to what their customers are looking for. Jollibee constantly introduce new products, keep in touch with their customers through various programs and promotion and develop marketing campaigns that touch their customers’ sentiments. At present, there are more than 600 Jollibee stores in the Philippines. More than half of these are operated by franchisees. However, demand does not wane and opportunities still abound in various regional operations in and around Mega Manila, North Luzon, South Luzon and the Visayas-Mindanao areas. Market opportunities extend to territories abroad. Currently, Jollibee operates 26 stores in the USA. It is also present in Brunei, Hong Kong, Saudi Arabia & Vietnam. Step 1. Download and print a copy of the Franchise application form. • Letter of Intent – containing the exact address of your proposed site, your exact mailing address, contact numbers, etc. • Vicinity Map of Proposed Site – that will more or less guide our field personnel who will go there and conduct an on-site evaluation. • Legal document certifying applicant’s ownership of the site. • Detailed resume or bio-data. Jollibee franchise ranges from Php 25-35 Million. • Ability to fund the investment requirement. The financial requirement depending on the final store size and facilities ranges from P25 to P35 Million. 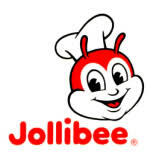 Jollibee will assist the franchisee in the recruitment and training of its management team. However,this team will be employees of the franchisee who is responsible for their salaries and benefits while on training. Where can I get the supplies for example?